It's the day of the Big Puddle-Jumping Competition, but when Peppa's real plastic golden boots are stolen so is her chance of taking part. She needs them back - and quackly . . .
Poor Peppa! Mrs Duck has stolen Peppa Pig's special golden wellies and now she can't compete in the Puddle-Jumping Competition! 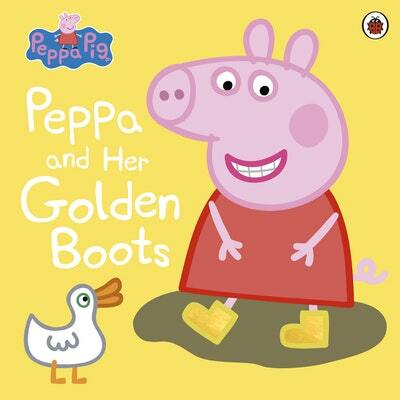 Can Peppa and her friends get the golden wellies back in time? %%%Poor Peppa! Mrs Duck has stolen Peppa's special golden wellies and now she can't compete in the Puddle-Jumping Competition! Can Peppa and her friends get the golden wellies back in time? 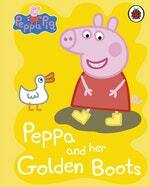 Love Peppa Pig: Peppa And Her Golden Boots? Subscribe to Read More to find out about similar books.